I am a complete Aldi convert - about 9 months ago we switched to almost exclusively shopping at Aldi for all of our food/toiletries etc and we are saving ourselves a fortune - we used to spend around £120 a week in Tesco, but now probably spend around £60-£70 a week for the same amount of stuff in Aldi! 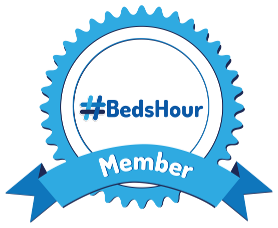 So far, we haven't felt as if we are compromising at all on quality either - all the food we have tried from fresh to frozen, crisps to biscuits, tins to meats - have all been super quality and just as tasty as their Tesco contemporaries. In the lead up to Easter we've been lucky enough to be trying out a range of alcohol and chocolate pairings from the #AldiFavouriteThings campaign: they've put together a chocolate match that compliments some of their alcoholic beverages perfectly - and Aldi asked us if we'd like to try them out. 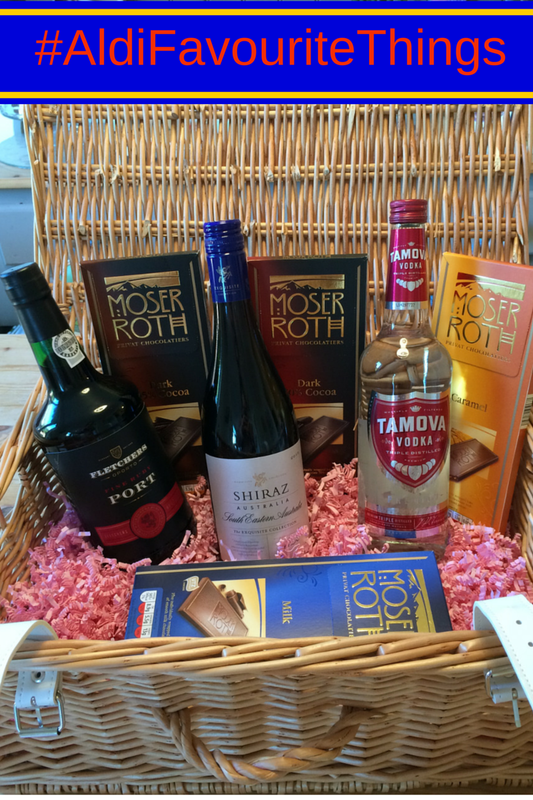 As a big fan of their Moser Roth chocolate already, and always willing to partake in a glass or two of something alcoholic, we were more than happy to oblige! If you're looking for something a little different to treat yourself or a loved one to this Easter, then these alcohol and chocolate pairings would be a lovely alternative to an Easter egg! "A good guide to food and wine pairing is that the food and wine should have similar levels of sweetness. 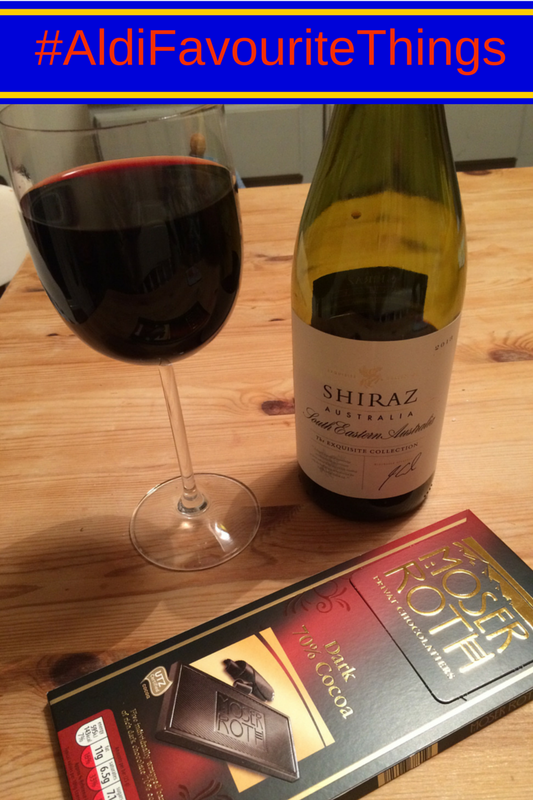 Try pairing Moser Roth 70% Cocoa with the wonderfully velvety Exquisite Collection Australian Shiraz. The supple texture and relatively low levels of mouth drying tannins smooth out the cocoa solids in the chocolate and the red and black fruit flavours refresh the palate." I absolutely loved this wine, as did hubby. We are big red wine drinkers, and found this shiraz to be very pleasant indeed - especially once we'd left it to breathe for a while. The deep and very dark chocolate really was a perfect match for the wine - and was the perfect treat to end a hectic day! The Moser Roth chocolate comes in five individually wrapped 25g bars, which make them just the right size for an evening treat and help if you're trying to be moderate and sensible in your food choices, like me. "When pairing wines with chocolate, match stronger chocolates with a more full bodied wine like port, a full-bodied, fortified wine with lots of natural sweetness from the grape sugars. 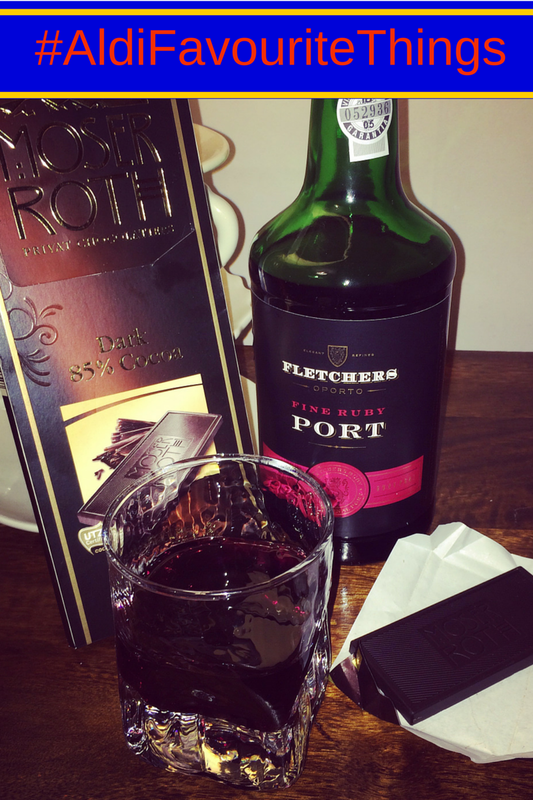 Fletcher's Ruby Port has rich plum and damson characters and a chocolatey core which works a treat with the intense Moser Roth 85% Cocoa Chocolate. The power of the wine is equal to that of the chocolate; they bring out the best in each other resulting in a wonderful pairing experience." I was alone in drinking this one (happily! more for me!) as hubby doesn't like port very much at all. I on the other hand love it - and this one didn't disappoint. I still cannot believe that it is only £6.49 for the whole bottle! I wouldn't usually eat a chocolate as dark as 85% on its own, as I would usually find it too far too bitter for my palate but, twinned with the intense sweetness of the port I found it totally delicious and not too bitter at all. "Unlikely pairings sometimes bring about unexpectedly delicious results! Chilli and chocolate and salt with caramel are some of the trendiest pairings on the block, and this cocktail fuses them both together. 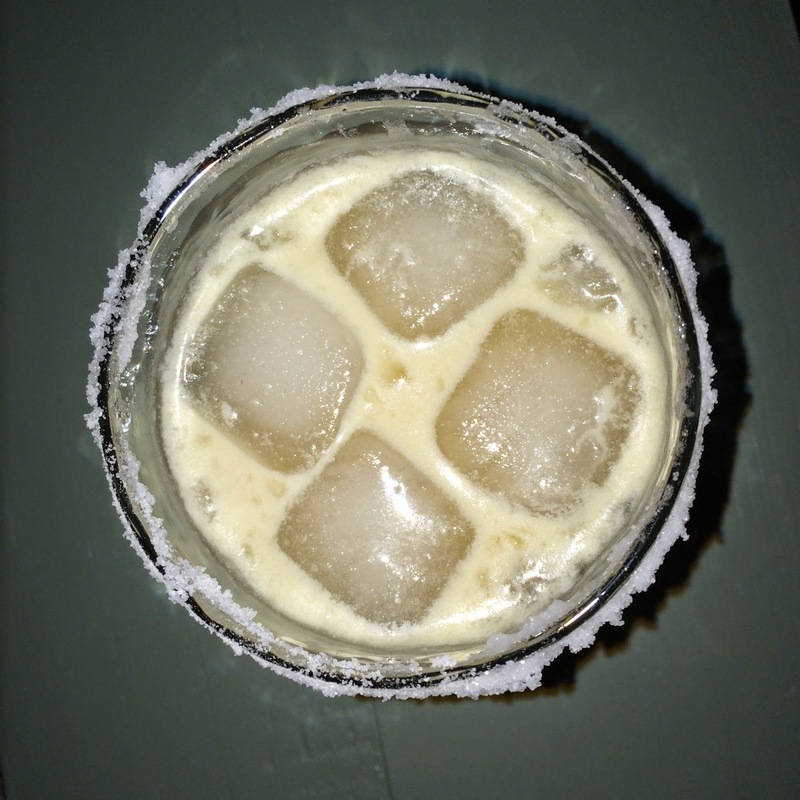 The attack of the Tamova Vodka, the heat of the chilli, the softness of the cream, the sweetness of the sugar, the complexity of the vanilla: this will have your tastebuds in raptures! 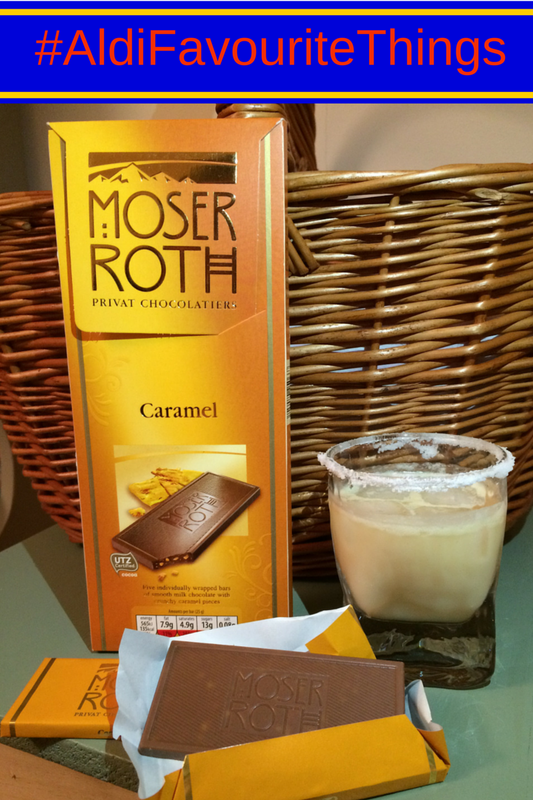 The sweet caramel and malt of the Moser Roth Caramel Chocolate are echoed by the butterscotch notes of the drink." Oooh now this is probably the most exciting pairing in my opinion - I love trying interesting flavour combinations, and I was more than a little dubious about this vodka-chilli-salt-caramel combo! I am however, eating my words! 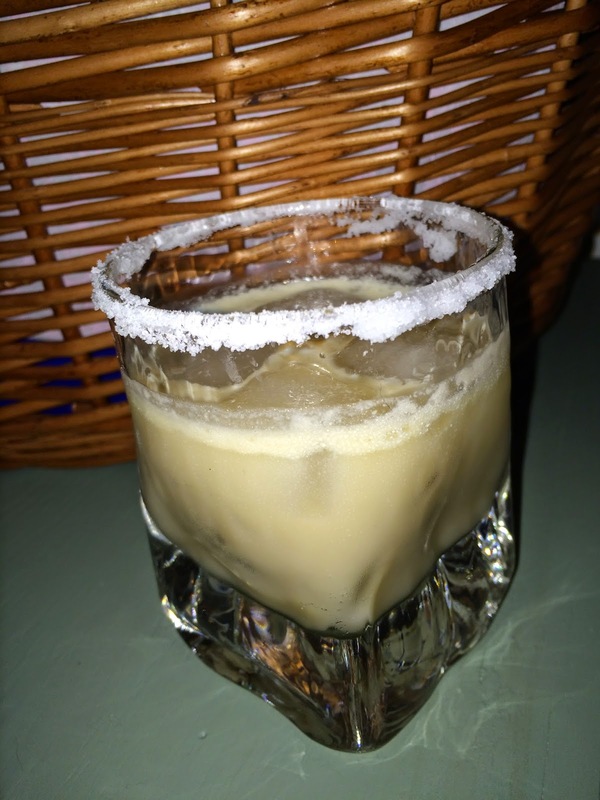 The syrup/sauce is ABSOLUTELY TO DIE FOR - and twinned with chilled vodka and ice it makes the most perfectly decadent almost Bailey's-like cocktail. Add in the smooth creaminess of the chocolate, with the crunchy caramel pieces and malty undertones and you'll find yourself in some sort of chilli vodka chocolate heaven! The tub of sauce in the fridge will not be going to waste as we'll be drizzling it all over fresh from the oven warm brownies tonight for pudding! Yes! To make the butterscotch syrup heat the butter in a small saucepan and add the sugar. Stir until well combined. Add the cream, chilli and vanilla extract and allow to cook gently until the sauce is smooth and thick. Add the vodka (30ml) and cook for a further 2-3 minutes. To make the cocktail put 25ml of warm syrup into a cocktail shaker with 2 shots/50ml of vodka and ice cubes. Shake vigorously and pour into a martini glass with a salted rim (dip the rim of the glass into water and then into the lightly crushed sea salt). 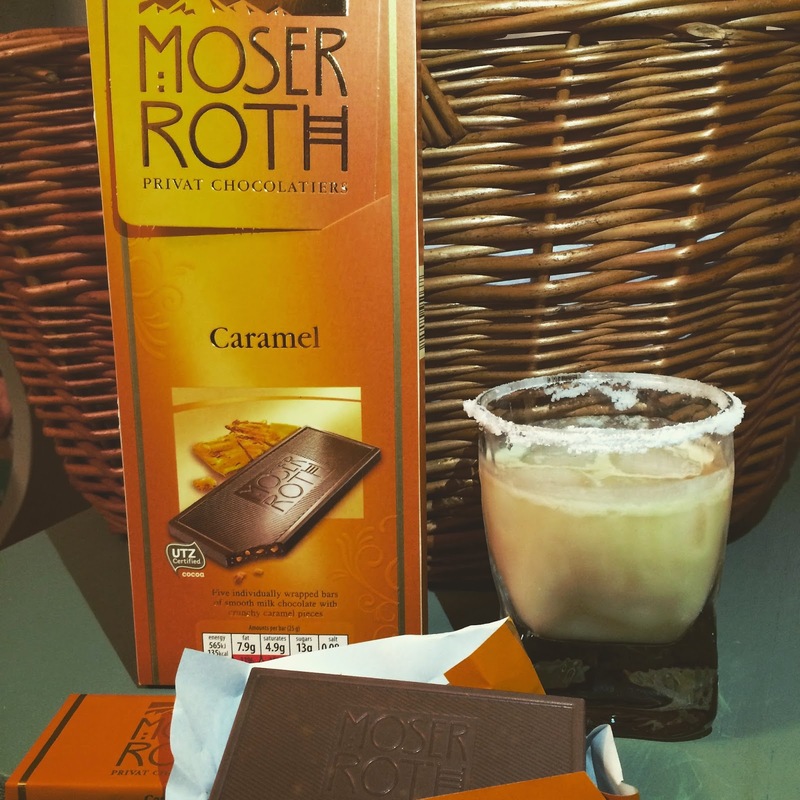 Enjoy with Moser Roth Caramel Chocolate. The sauce should make around 19 servings of the cocktail - so it would be great to make up for a party. Alternatively, the leftover sauce is AMAZING over a warm brownie, cold ice cream, or straight out of the tub with a spoon! Ha! Be sure to pop into your local Aldi and pick up some of these tasty treats this Easter ! Disclaimer: We were sent a hamper of Aldi alcohol and chocolate pairings for the purpose of this review - all words, opinions and pictures are my own, unless otherwise stated.